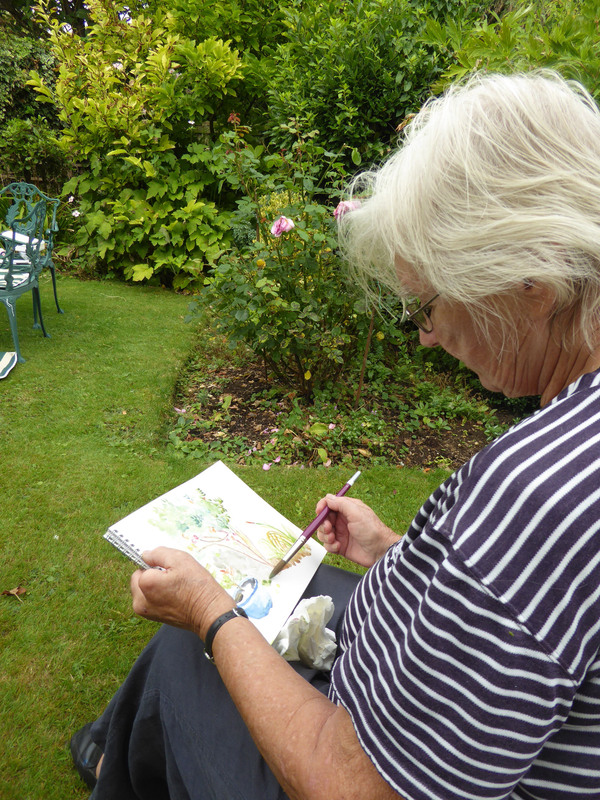 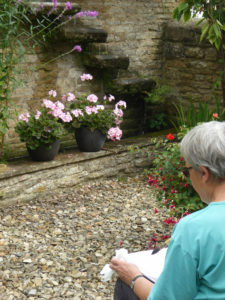 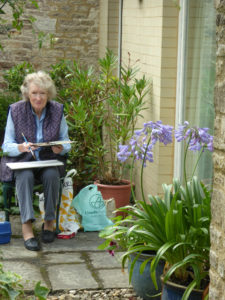 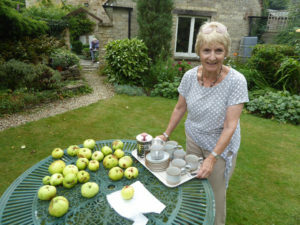 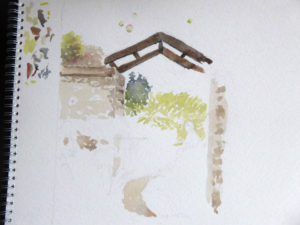 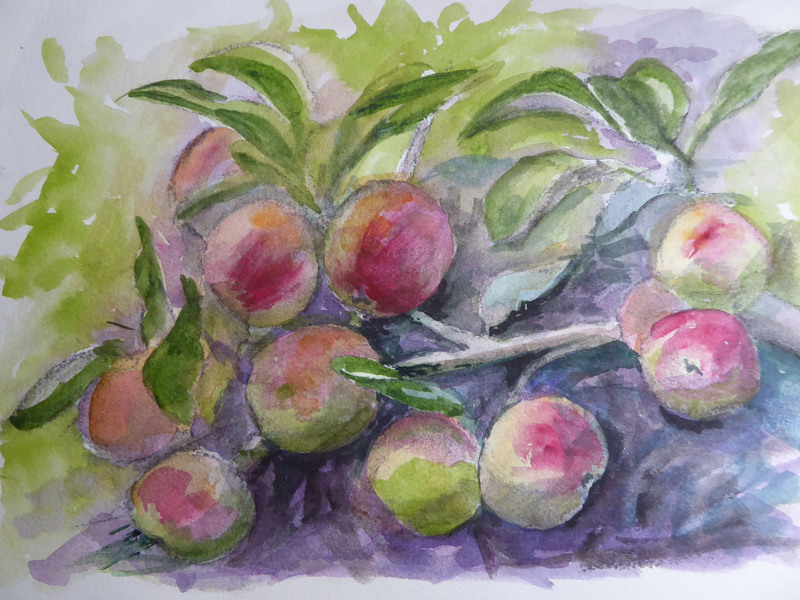 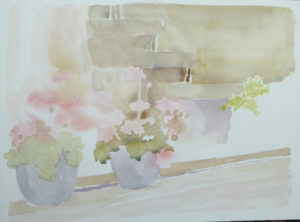 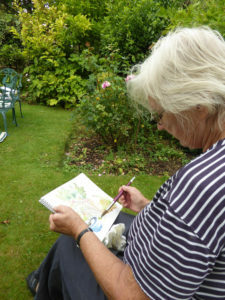 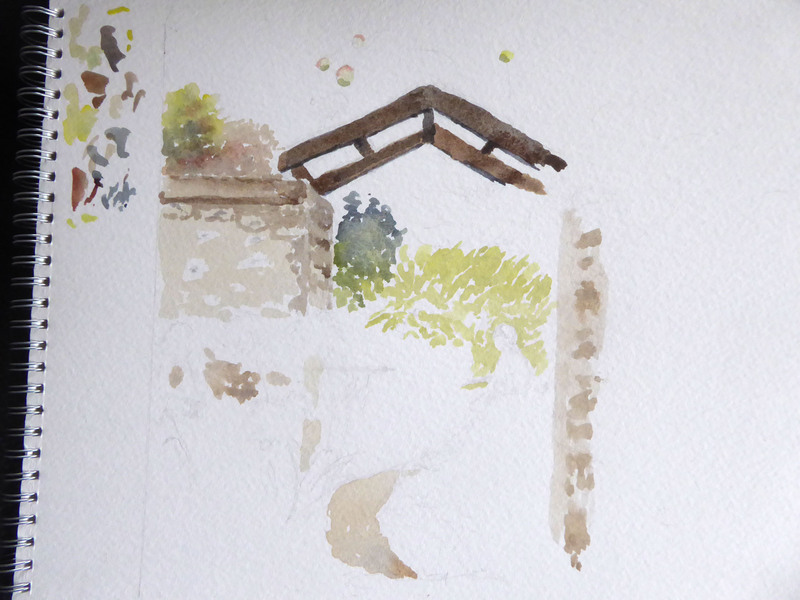 Four artists settled themselves in various corners of Pam’s beautiful garden in Witney on Thursday 25 August. 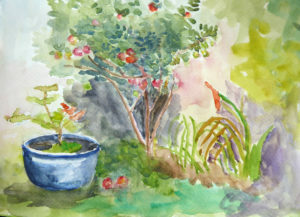 It seemed to have little ‘rooms’, outdoor areas where you could sit, either in a courtyard, beside a trickling fountain or beneath the fruit trees. 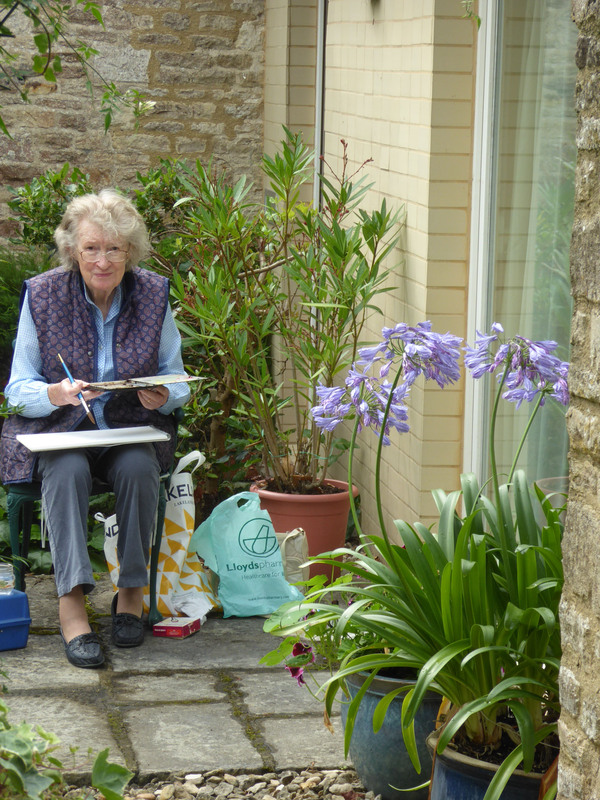 Everywhere was adorned with pots of colourful geraniums, agapanthus, pinks, climbing hydrangea… to name the few that come to mind.